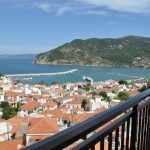 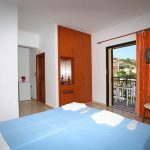 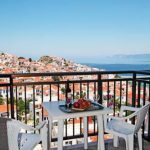 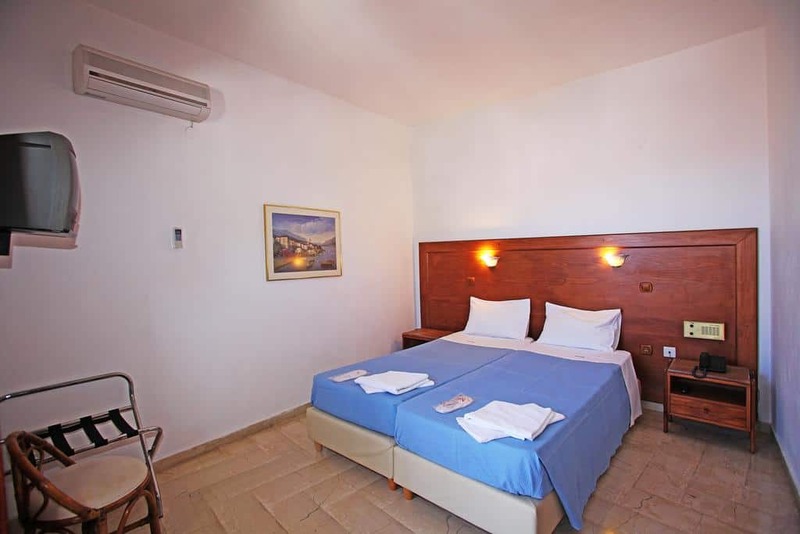 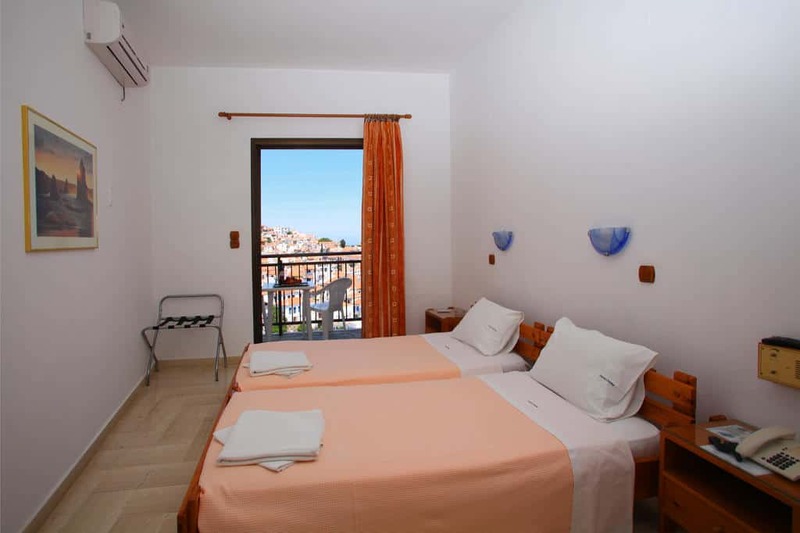 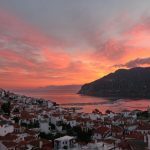 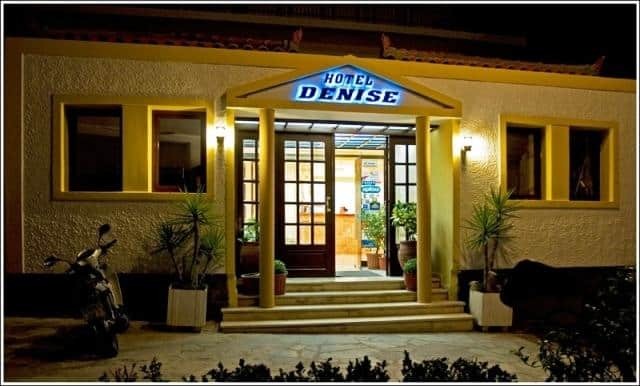 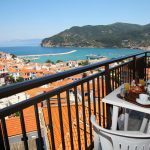 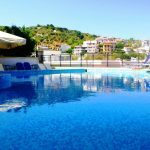 Centrally located in Skopelos Town, Denise Hotel features a swimming pool and rooms with furnished balconies overlooking the scenic town and the Aegean Sea. 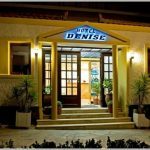 Built in the center of Skopelos Town, Hotel Dennis offers a swimming pool and furnished balconies at all rooms overlooking the Aegean Sea. 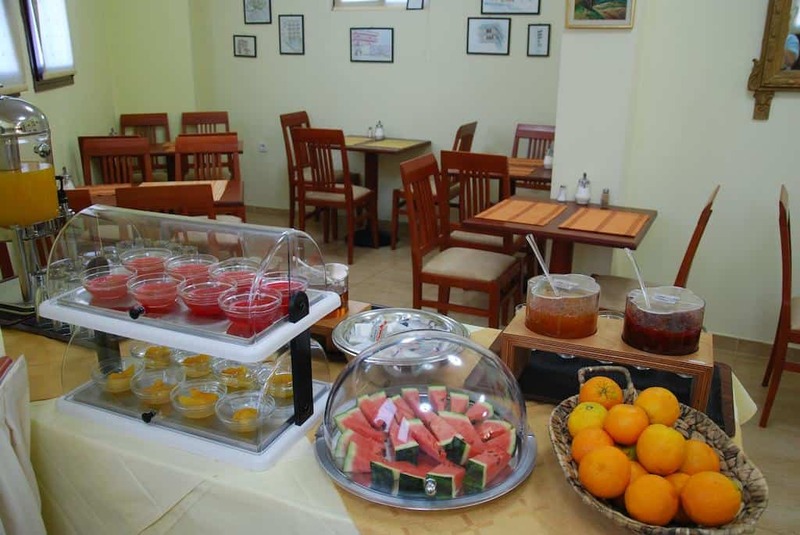 There is free Wi-Fi and a rich breakfast. 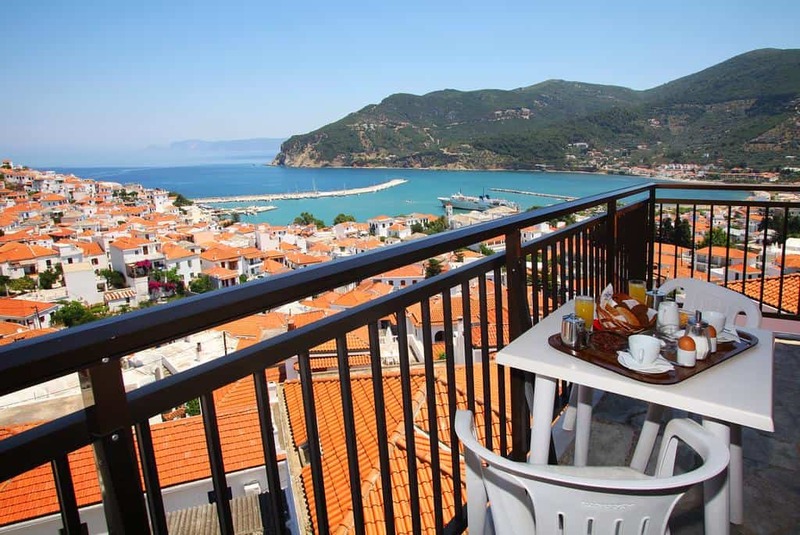 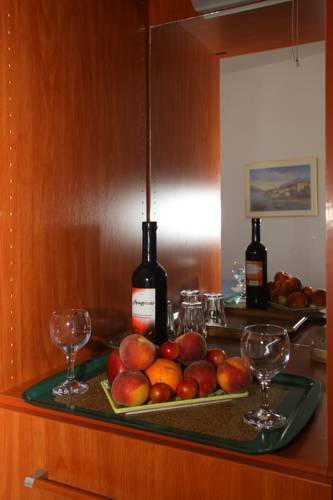 Rooms at Dennis Hotel, on Skopelos island, have air conditioning, satellite TV and a fridge. 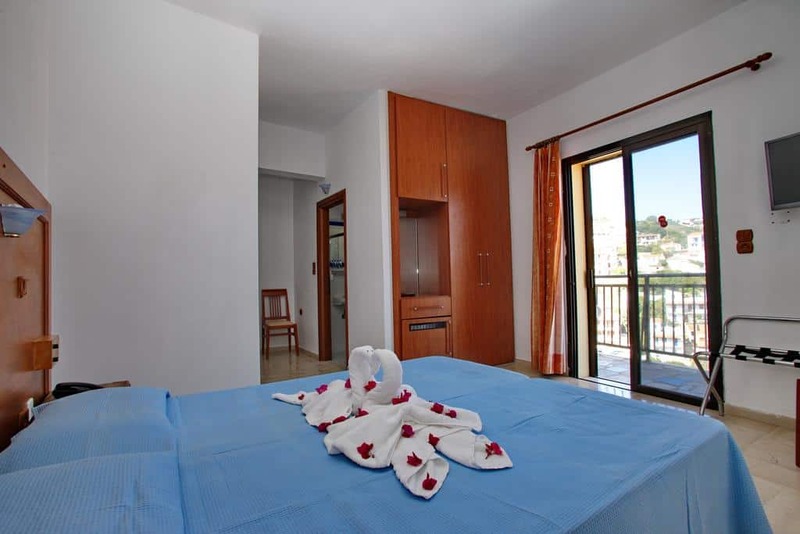 Each en suite bathroom has a shower and a hairdryer. 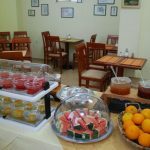 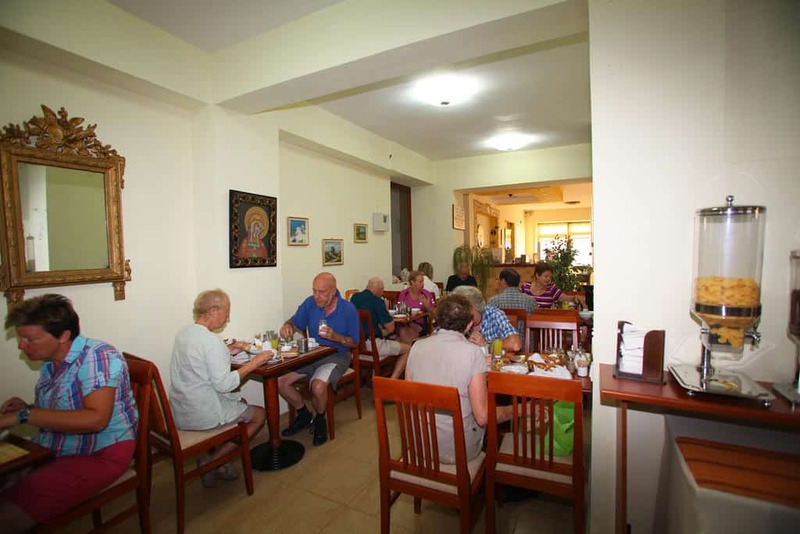 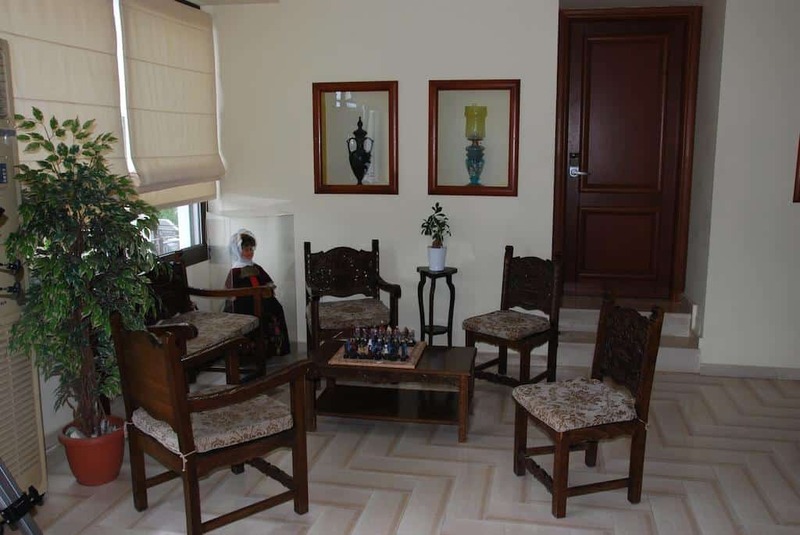 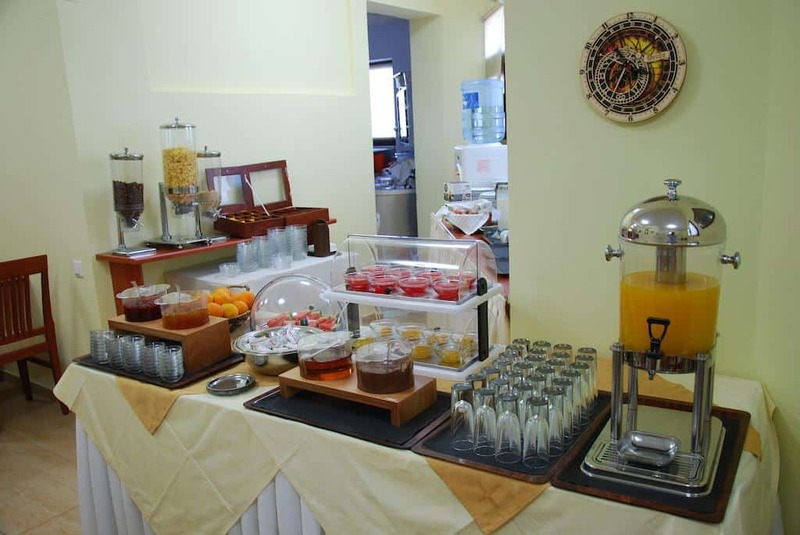 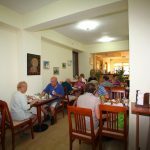 The visitors of the Denise Hotel, can enjoy their breakfast either in the dining room or on the balcony of their room. 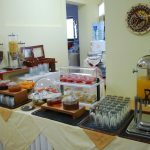 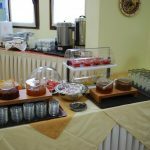 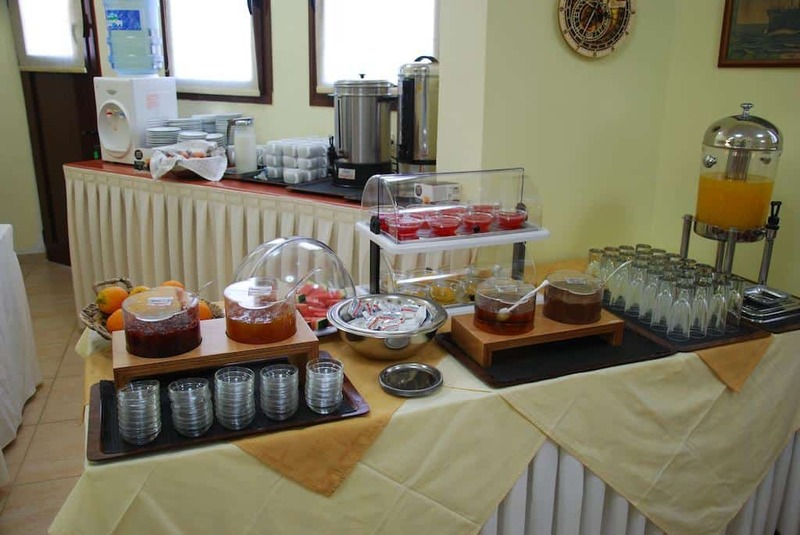 During the breakfast we will taste traditional dishes of Skopelos, such as cheese pies and sweets with prunes and honey. 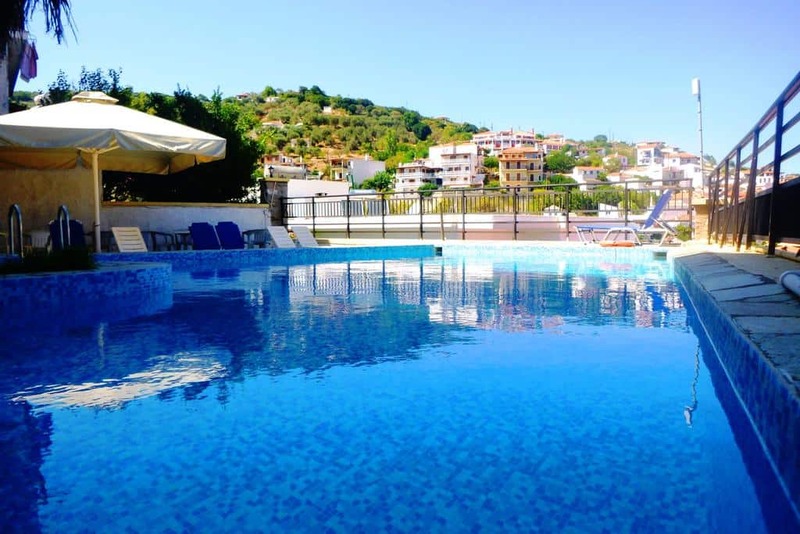 The pool area, of the Denise Hotel, at Skopelos, is equipped with sun loungers to enjoy the stunning views. 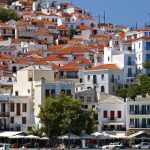 Skopelos island has the definition of the Blue Green Island. 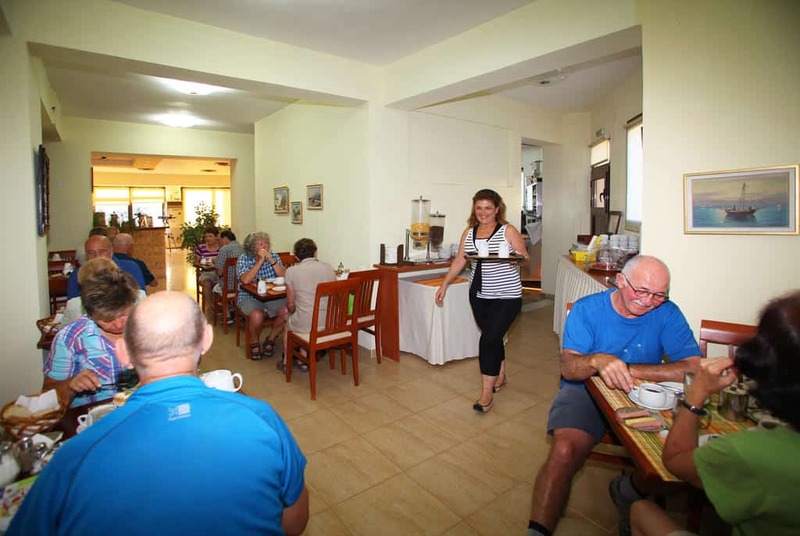 The vegetation is very lush and the larger part of the island is covered by pine forest. 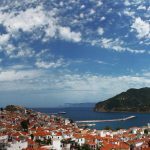 The Skopelos landscapes are stunning as they combine the green of pine trees with the blue waters of the sea and the blue sky. 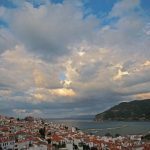 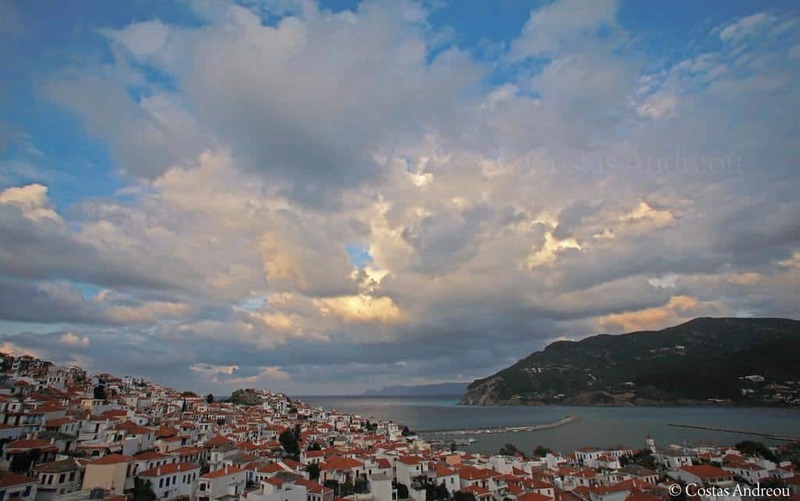 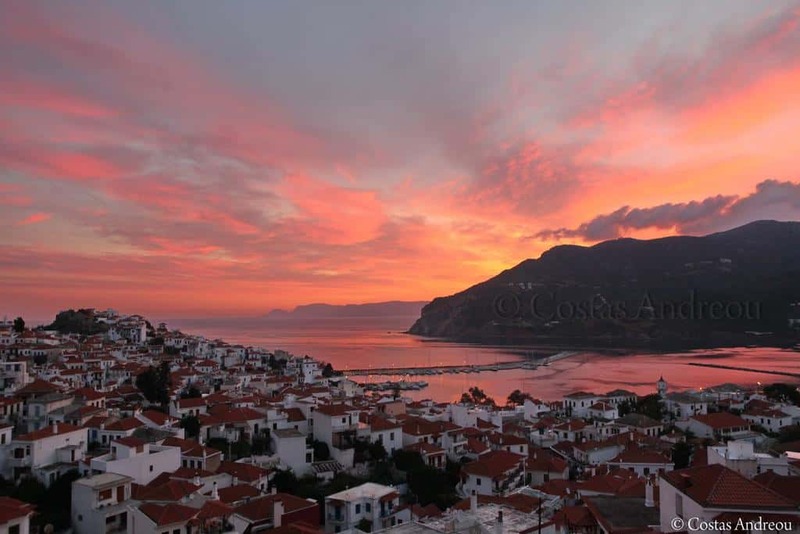 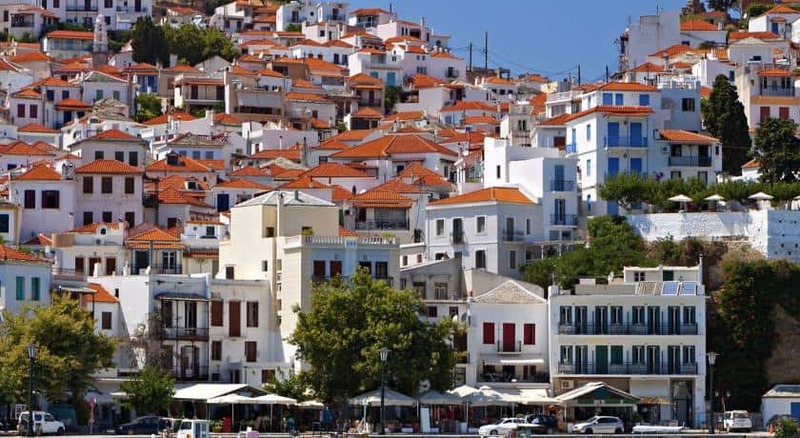 From Hotel Denise you can enjoy the beauty of Skopelos Town. 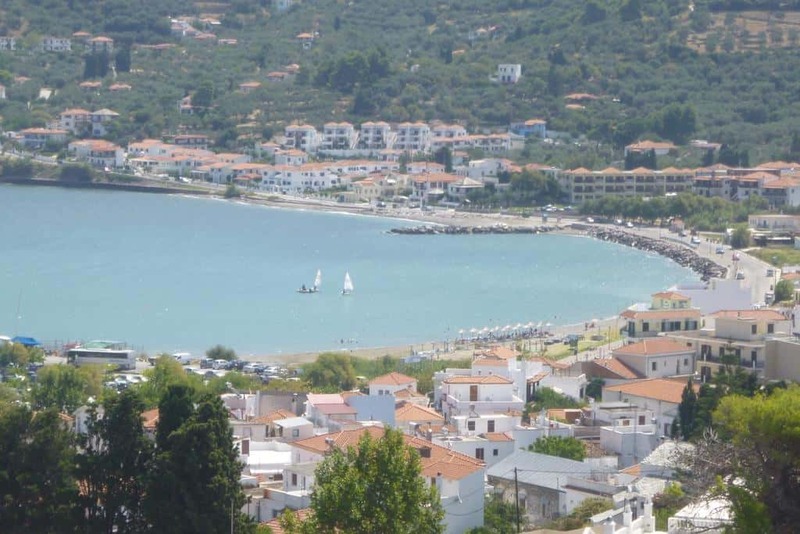 The wonderful sandy beach of Panormos is located 12 km away. 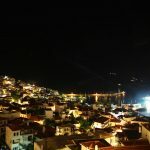 On Panormos Beach you can enjoy your meal, since there are several taverns there. 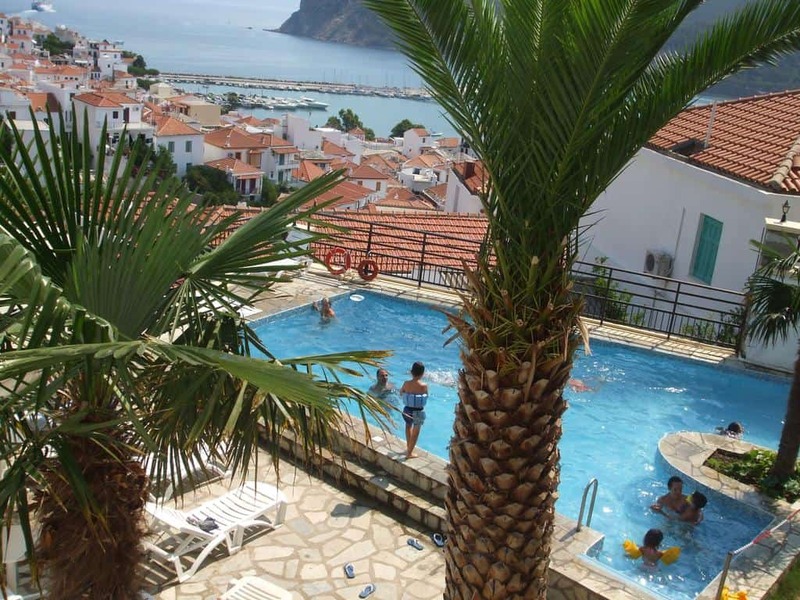 A lot of taverns and restaurants are also on Agnontas beach, located about 8 kilometers away from the hotel. 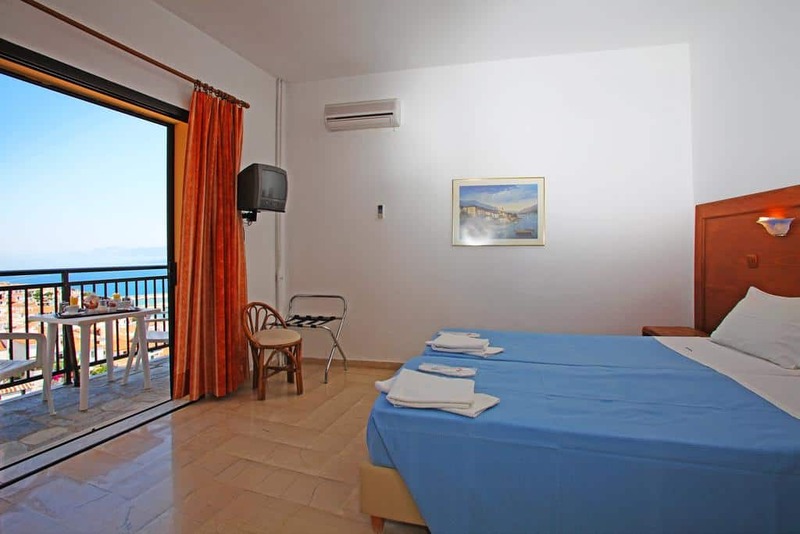 The nearest beach to the Denise Hotel is Stafylos beach. 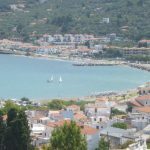 Stafylos is only 4 km away. 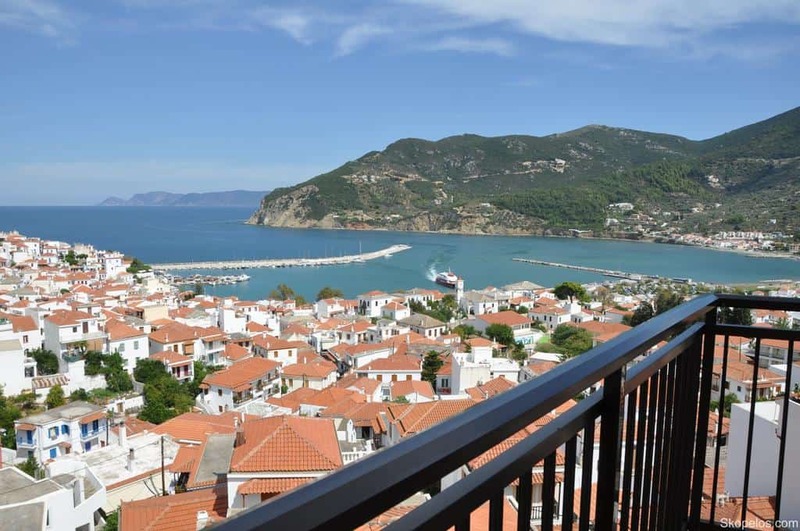 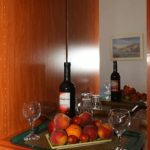 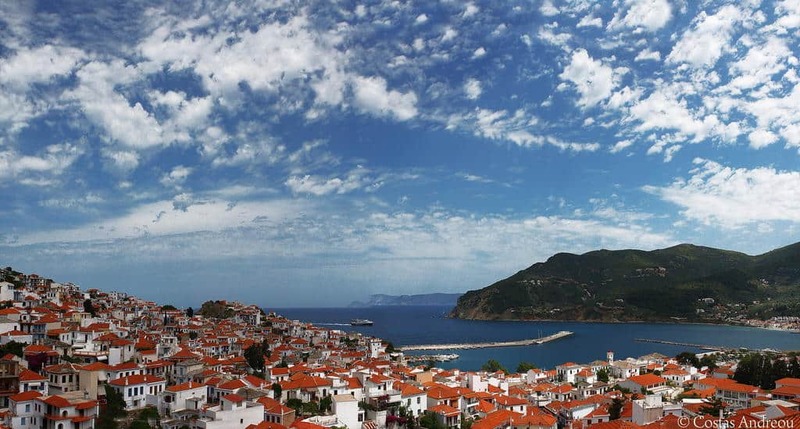 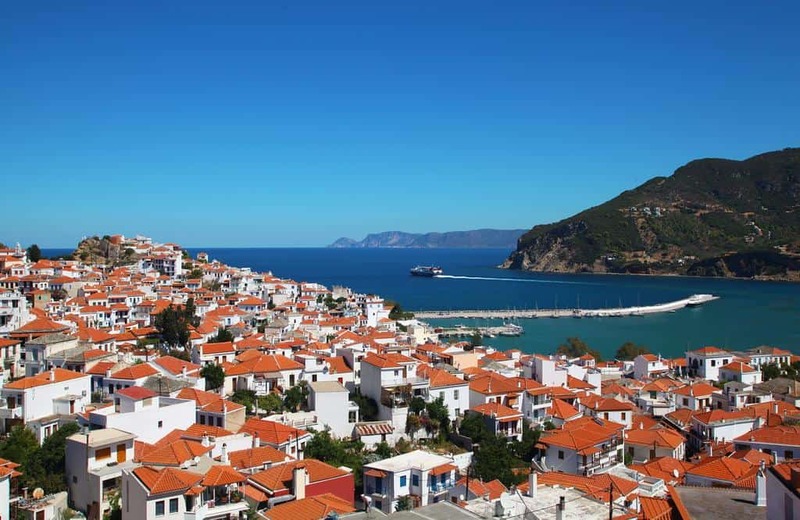 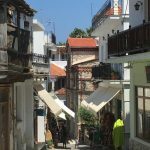 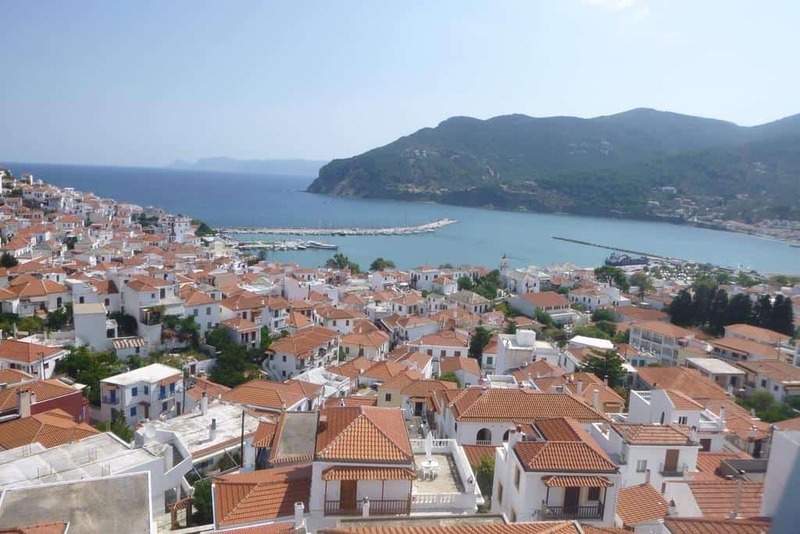 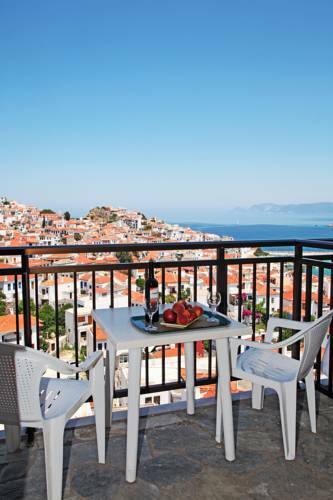 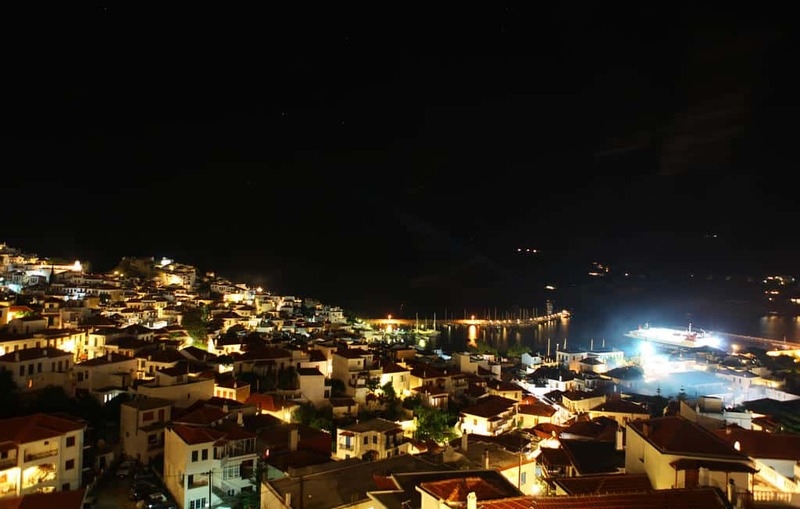 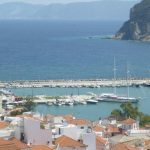 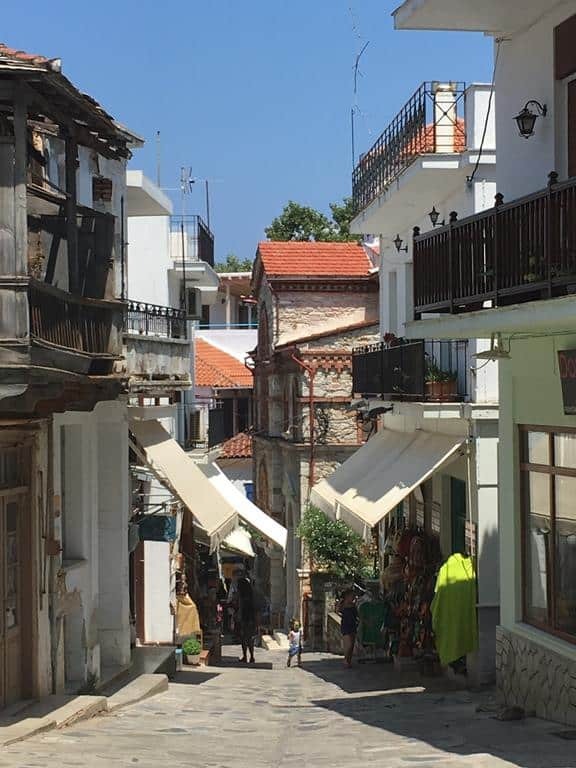 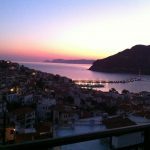 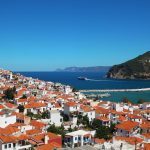 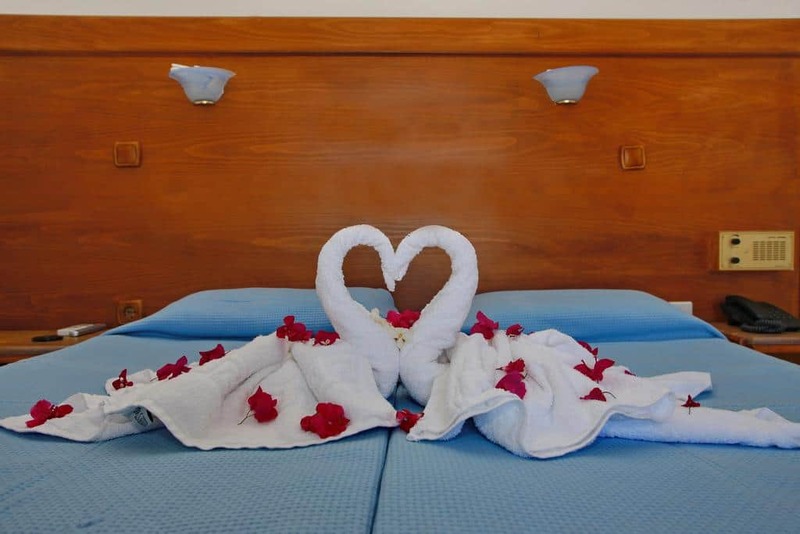 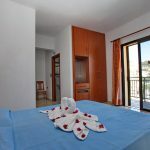 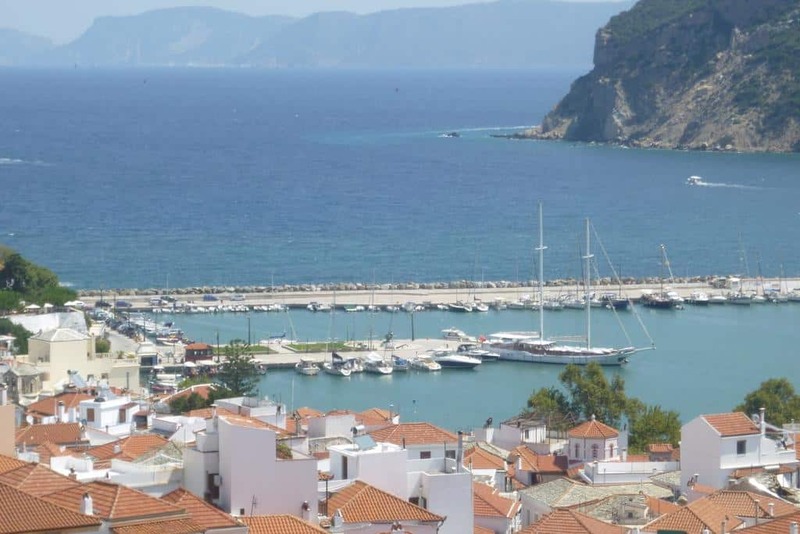 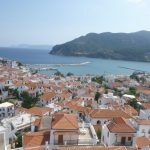 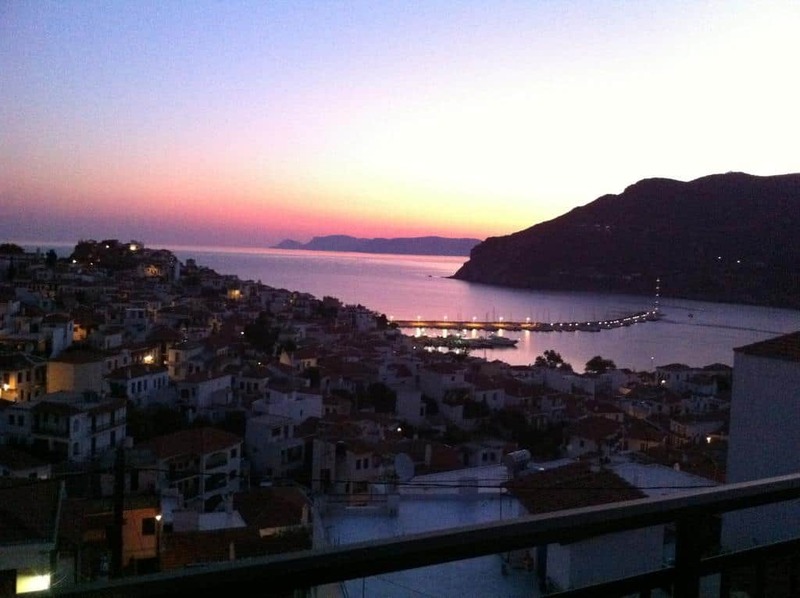 The hotel is just a 5-minute walk from Skopelos port as well as of Skopelos main market.